Europe’s top ski destinations combine incredible mountain scenery and resort charm with fantastic food, accommodation and après ski. And visiting one doesn’t have to cost you the earth either. 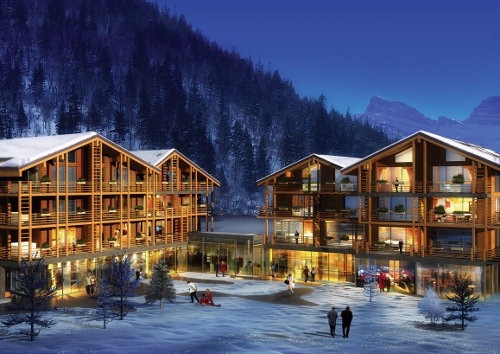 With holiday companies struggling, this is another good year to bag a ski bargain. Here are five of the best places in Europe to spend a week in the snow. They’ve been selected on a variety of factors, including quality of the ski area and resort ambience. The stars given are out of five. 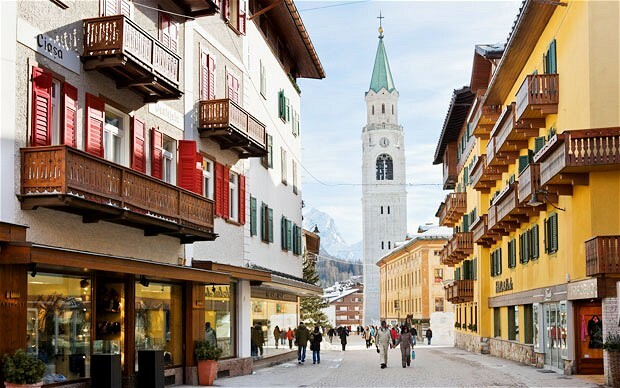 Cortina d’Ampezzo is the least known of the most glitzy European resorts and offers great skiing for perhaps all but the most advanced, amid some of the most beautiful scenery in Europe. It’s mainly Italians who come here so there’s little, if any, of the raucousness that can go hand in hand with Brits and Germans on the piste. The snow record is decent, but if you want to be reasonably snow sure go in late January or February. Cortina’s ski areas are somewhat spread out but easily accessed by an efficient bus service. The skiing is mainly easy cruising on long, beautifully maintained pistes with spectacular views. Don’t miss the amazing 11km Lagazuoi ‘hidden valley’ run, and find time to explore the huge Dolomiti Superski area with its 1,200kms of runs. Cortina is wonderfully atmospheric, with cobbled streets and lovely old hotels set in a perfect panoramic setting amid the awe-inspiring Dolomite mountain range, famous for its high, jagged peaks which glow pink at sunset. Good value, homely restaurants and bars are mixed in with upmarket hotels, nearly all offering great Italian cooking. Courchevel 1650 is part of the amazing Trois Vallees ski area in France. It’s famous for having a huge ski area linked by one of the best lift systems in the world, as well as some of the most beautiful scenery in the French Alps. Courchevel 1650 is less glamorous and annoyingly posh than Courchevel 1850, further up the valley, and all the better for it. The skiing is best, and least busy, from early January to early March (avoiding half-term school holidays, if you can). It’s hard to fault Courchevel’s incredible array of skiing. Of all the Trois Vallees villages it has the most local slopes (117) and arguably the best snow as the majority are north facing. The snow record is excellent and the hi-tech lift system whisks you with ease into other areas, including those around Meribel and Courchevel 1850. Long and pretty tree-lined runs to the village are great for beginners, and the high-altitude, tough blacks and reds will test experts, giving a superbly varied ski experience. 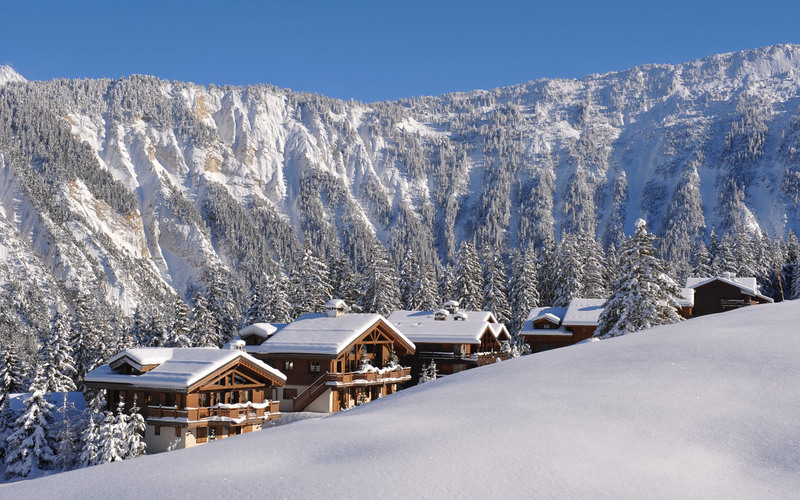 Courchevel 1650’s setting is stunning, with 360 degree mountain views, and the village been made increasingly attractive in recent years. Food largely depends on the mainly chalet-based accommodation, but there are some good French restaurant and pizza options at reasonable prices (don’t eat up in the mountains, it’s stupidly expensive). A smattering of attractive pubs and hotel bars offer cosy evenings out. Verbier is a gem of a resort, perched on a ridge with amazing views of the surrounding mountains and beyond to Mont Blanc and the Matterhorn. The village has a younger clientele than many Swiss ski resorts, which can feel a little old fashioned, and offers good après-ski without being over-the-top. The skiing isn’t the highest, but glacier slopes are within reach and it has a good snow record. Snow-making is excellent, including covering the runs to village level. The 410kms of skiing is spread over the 4 Vallees area, and the lift system represents Swiss-efficiency at its best. The huge variety offers wonderful skiing on immaculate pistes for everyone from beginners to the most experienced. The Mont-Fort glacier is a big attraction for advanced skiers, with a large range of off-piste and mogul skiing. Beginners have access to some of the best ski schools in the Alps and learn on broad, gentle slopes. Go in late January and February for the best snow. Verbier village is quite strung out, but has tremendous alpine atmosphere. Après ski is youthful but still offers plenty to enjoy for the older crowd. Food and drinks can be expensive, but if you pick your happy hour it brings the price down. Half-board package deals are the best option value-wise. Often over-looked by British visitors in favour of it’s more famous neighbour, St Anton, Lech offers better snow (twice as much on average as St Anton!) at a higher altitude with finer village scenery. Snow cover is generally great from the end of December until mid-March but, if you can, visit outside of school holidays as lift queues can be problematic. 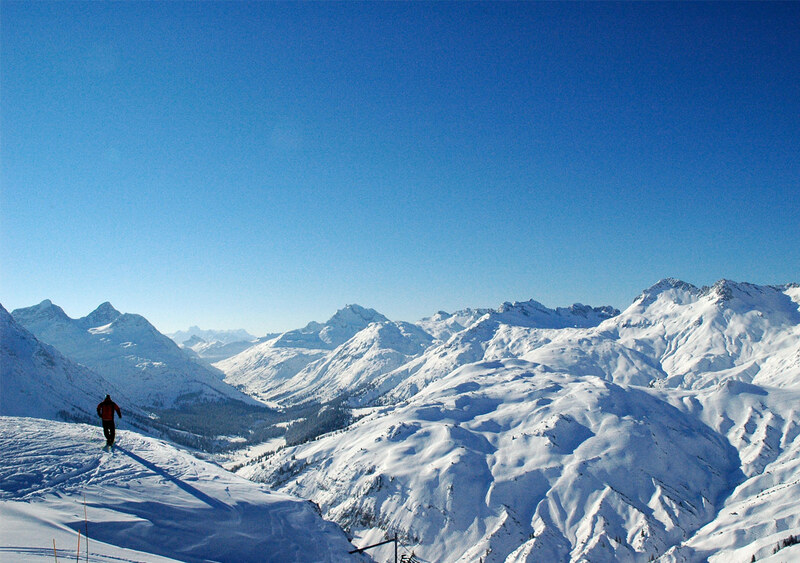 The Lech-Zurs ski area offers fantastic high-altitude skiing over 260kms of superbly groomed and inter-linked slopes. All but the most advanced skiers will find themselves in ski-heaven. Most slopes are treeless, but there are enough runs in the woods just above Lech for those who love schussing among the pines. It’s fairly quiet, with après ski largely being hotel-based, but there’s a lovely friendly atmosphere and fun can be found with the odd hotel-basement nightclub in high season. Val D’Isere is a resort that many Brits fall in love with and return year after year, and it’s not hard to see why. The scenery is stunning, the skiing just about unbeatable and the après ski lively but unpretentious. Visit just about any time during the season right through to April, as the resort’s high altitude pretty much guarantees good snow. 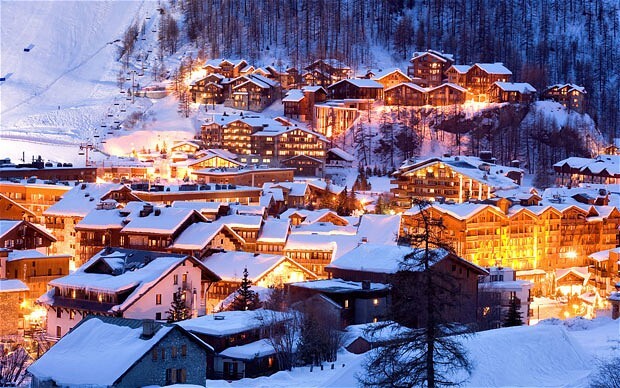 Val D’Isere’s skiing is part of the Espace Killy area, shared with neighbouring Tignes. The brilliant lift system means queues are few and far between and the large 300 kilometres of slopes offer a great range of ski options amid stunning scenery. Make sure you ski around Le Fornet at the top end of the valley. It’s quite a long ski to get there (or take the bus! ), but the remote quietness is stunning and makes it very much worthwhile. The village is nicely compact and set in a huge bowl of mountains which takes the breath away. It’s been developed in a largely sympathetic rustic style and chic hotels combine with both cool and cheesy bars and clubs to give a great après ski experience. Look out for the hotels with outdoor pools; it’s quite an experience looking up at the sky and huge white-capped peaks as you float around. Not all travel insurance policies cover winter sports, so make sure yours does; it’s certainly not worth the risk of going without it.